3. 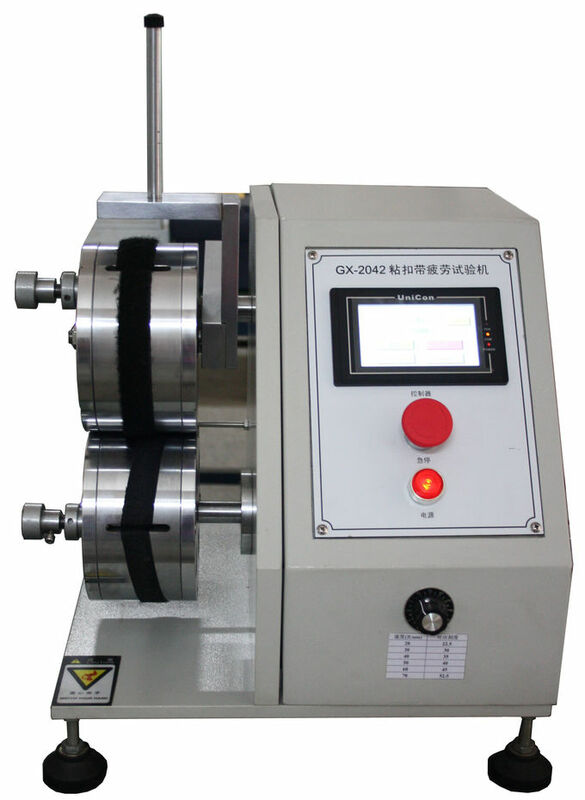 Description:This machine is designed for opening and closing the hook and loop fasteners, A hook and loop fastener is repeatedly opened and closed for a specified number, and then is rolled by a roller to the hook side and the loop side to stick closely so as to determine the adhesive force and strength. This machine has a memory function. You can adjust the force applied to the specimen by adjusting the counterweight and load.